staff and a dedicated Cruise Director. Full Board and All Inclusive Drinks service means you can relax and not worry about your expenses on coffee, tea, soft drinks, water, house wine, domestic beer and domestic spirits. **Single occupancy supplement is non-commissionable. 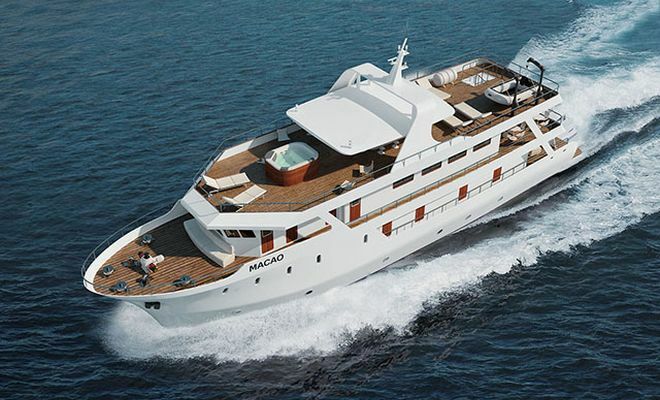 Welcome on board M/S “Macao” to start your cruise along the Adriatic Coast. Over a welcome drink and a snack you will meet your Cruise Director and the crew of M/S “Macao”. 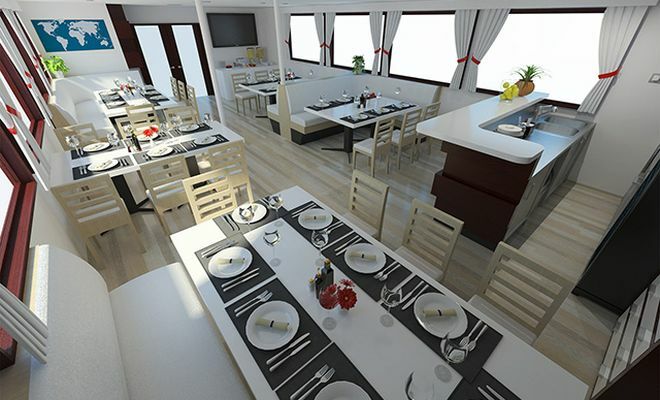 Captain's orders and safety measures will be explained to you, after which the boat will set sail for your first destination, the island of Hvar. After breakfast, you will set sail to Vela Luka on the island of Korcula, major fishermen’s town on the western side of island Korcula, our departure point for a coach tour into the island. Your Captain will hand-pick a bay for you where he will drop the anchor. You can then hop into your swimsuit and have a swim in the crystal-blue Adriatic, surrounded by pine trees and the sound of crickets. 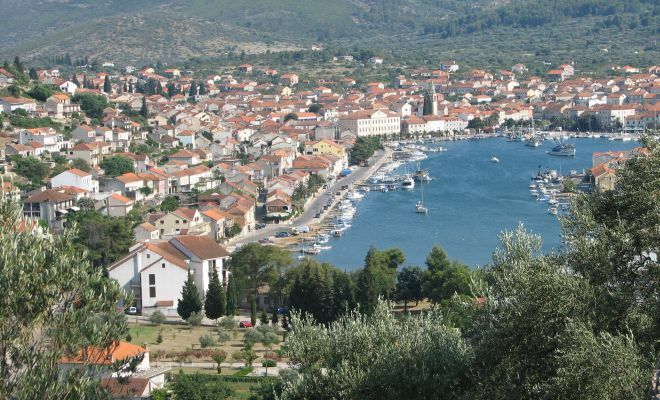 After the swim break you will continue sailing to Vela Luka on the island of Korcula. If you decide to join us for the coach tour of Korcula, after lunch you will board the coach for a first-hand perspective on the island’s hinterland, its vineyards, olive orchards and hilly landscape. On the tour you will visit several sights: First the “Zlokic” olive oil factory, where Mr. Zlokic will show you around his factory explaining all you ever wanted to know about olive pressing. You will also be able to taste the premium extra-virgin cold pressed olive oils that your host produces. Your next destination will be the family run folk museum “Barilo” in the town Blato, situated in the middle of the island that houses a collection of tools and items used by peasants on the island in the past several centuries. Your visit will be accompanied by traditional homemade liqueurs and sweets the family makes. Your last stop on the tour will be a visit the picturesque town Smokvica built on the hillside for a visit to the local award-wining winery “Toreta”. Your hosts there will introduce you to the excellent white wines Posip and Rukatac that Korcula is widely known for. 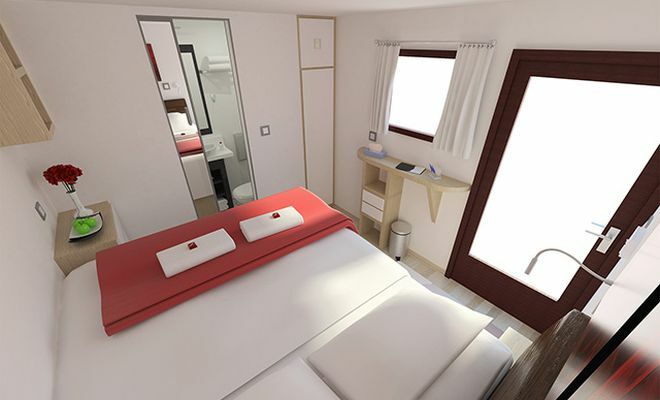 After dinner you can expect an evening on board full of Dalmatian vibe, with the nightfall slowly setting on Vela Luka. Next morning you will depart for the island of Mljet. Island of Mljet on its western side houses National Park Mljet, known for its immense beauty and its two turquoise salty lakes surrounded by thick forest. Upon arrival you will have plenty of free time to explore the park individually, for example, by renting bikes and cycling or jogging on the numerous paths around the lakes or in the forests. You can also rent kayaks and cut the surface of the magnificent lakes to observe the scenery from a different perspective. If you feel like just relaxing you can hop onto the small boat that will take you to a tiny island on one of the lakes, where you can discover a monastery and a church of St. Mary’s built in the 12th century and enjoy a cup of coffee with the view and the quiet. Optional excursion: Mljet National Park – unguided tour, free time in the National park. Early in the morning Captain and his crew will take you on the route in the direction of Dubrovnik. On the way there you will witness beautiful scenery as you pass the Elaphite islands. 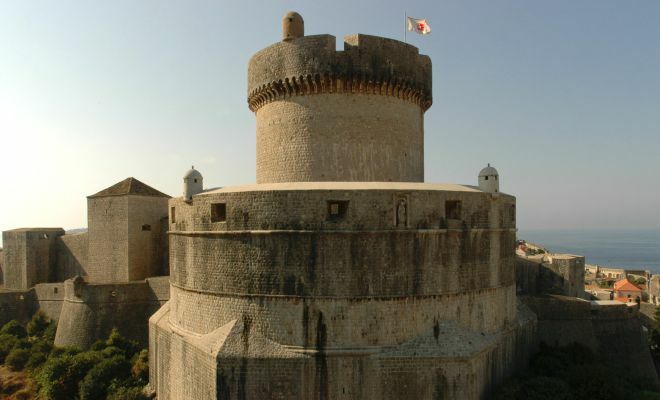 Upon arrival to Dubrovnik, shuttle bus will take you to the Old Town gate where you can join our guided tour of Dubrovnik. Our local expert will show you around this fascinating world-known landmark, an ancient town protected by 13th century fortifications. Dubrovnik was for centuries a standalone Republic and the only power able to compete with the Venetians. After the tour you will have free time to explore Dubrovnik on your own. You can take the cable-car to the top of the hill overlooking Dubrovnik for wonderful photo opportunities, make the full circle around the walls or just enjoy a scoop of ice cream as you stroll through its narrow streets paved with ancient stones. great view of the sunsets Korcula is known for. After docking at Korcula harbor, a local guide will take you for a walk around the town of Korcula. You will hear of its long history, ingenious building strategies, peculiar building layout and a legend of a great merchant traveler Marco Polo that was born and spent his childhood in the streets of Korcula. After the guided tour we recommend a relaxing stroll around the romantic little town for to enjoy the Mediterranean atmosphere and vibe. After breakfast, you will set sail towards the island of Brac, passing through the scenic Peljesac channel, around the tip of Peljesac penninsula and the southeastern tip of the island of Hvar. Weather permitting, Captain will drop the anchor on the way for a refreshing swim in a secluded bay, after which you will continue your journey towards Pucisca. Pucisca is nested in a beautiful bay on the island of Brac, surrounded by stone quarries that yield some of the whitest and best quality limestone in the world. Suffice to say that pillars of this snow-white stone decorate the façade of the White House and other landmarks all over the world. After docking at Pucisca, you can join a short visit to a stonemasonry school nearby where you will learn of the Brac limestone and their centuries-old tradition of stonemasonry and the unconventional tools they use. Later in the evening you can pick your spot along the seaside, enjoy the relaxed and calm atmosphere over a glass of wine and join the locals in their favorite past time – people watching. While breakfast is being served, you will leave the harbor and sail across the Brac channel back to the mainland. First destination of the day is Omis, a town known for two things: stunning beauty of river Cetina canyon that surrounds it and its pirates. There you can join a short walking tour where you will hear the story of this small town built below steep mountains at the mouth of river Cetina. You will also learn of its pirates that brought the town its fame in Middle Ages. After the tour, you can board the small boats that will take you into the canyon of the river Cetina, a protected nature area. You will be travelling upriver to Radman’s mills, a rundown mill whose beauty was recently restored and where you will be served a snack of local specialties. After the snack, you can explore the area before your return to Omis. In the afternoon you will continue sailing to Split, your last port of call during the cruise on board M/S Macao. Upon arrival, our knowledgeable local guide will take you into the Old Town and introduce to you the monumental Diocletian Palace built over 1700 years ago. During the centuries the Old Town has grown into the palace and around it, creating a unique urban landscape. Because of its historical and architectural importance, the whole Old Town is part of the UNESCO’s List of World Cultural Heritage. After the tour you will have free time for individual exploration of Split and its lively Mediterranean spirit or you can just join the locals enjoying a cup of coffee on their much beloved seaside promenade. After your last breakfast on board disembarkation follows by 09:00 AM. It is time to say farewell to your fellow travelers, your Cruise Director and the crew of M/S Macao. But rest assured, with all the photos and newly forged friendships you will continue to sail with us for a little longer! This tour led by an expert guide will introduce you to the historical and cultural richness of one of the most beautiful towns in Croatia. Your guide will introduce you not just to the history but also to the present situation -what people do in Hvar for a living and what are the advantages and disadvantages of life on the island. Arsenal building from the 17th century, the oldest communal theatre from 1612, St Stephen’ cathedral and Benedictine convent where local nuns produce lace made of agave plant. The lace has been inscribed on UNESCO World Heritage List as a unique example of manual labor made of specially prepared agave fiber. This tour will present you the most important monuments in the Old Town surrounded by the ancient walls! The tour itself includes the transport to the Old Town from Gruz port including a walking tour along the narrow streets whilst being led by a professional guide who will tell you about town’s history, culture and its sights. You will walk down the main Dubrovnik street called Stradun that still is the centre of all major events in Dubrovnik. You will also visit other monumental buildings, squares, palaces and the Franciscan monastery with one of the oldest pharmacies in Europe, Rector’s palace and Onofrio fountain. The fountain is a centuries-old source of fresh drinking water in Dubrovnik, where one can freshen up even today. Stories and legends about St. Blaise church, Dubrovnik's patron saint, the Cathedral, the Rector's Palace, Sponza palace and Orlando's column will give you a good insight into the rich history of this town. 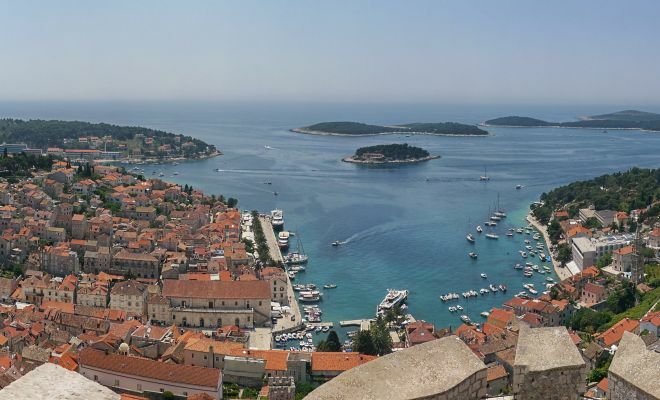 Moreover, you will be able to explore the beauty of the town’s harbor, a place where they used to build, repair and hide famous ships of the former Republic of Dubrovnik. This tour, led by an expert guide will introduce you to different times. Through stories and picturesque appearance of the old town you will learn how local people used to live and build their homes. You will familiarize yourself with the history of the town that is considered to be the birthplace of Marco Polo. This tour includes a walk through the old part of Korcula town whose long history and tradition are evident at every step. Whilst walking through the Old Town surrounded by walls and four towers from the 15th century, you will see cultural and historical monuments and many other buildings and palaces built in the Gothic and Venetian style. 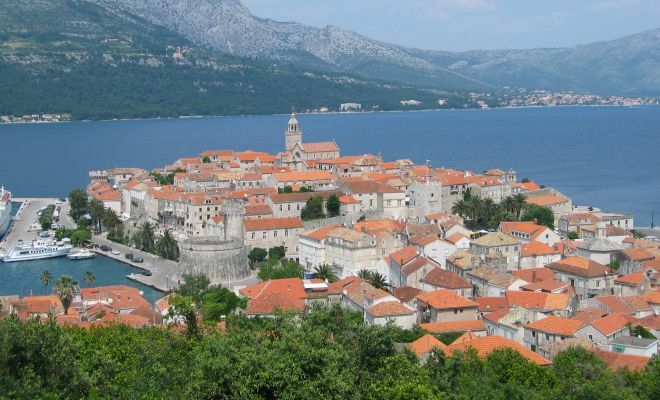 Moreover, you will discover how people live today in modern Korcula town which has around 3000 occupants. Our expert guide will inform you about the life of an adventurer and a Venetian merchant Marco Polo, who used to write about the wonders of travelling, languages and customs he encountered whilst trading in the Middle East. Stonemasonry School that builds on traditions centuries old and where students are taught how to work the white limestone by using the traditional toothed tools used by the stonemasons in the Roman Empire. 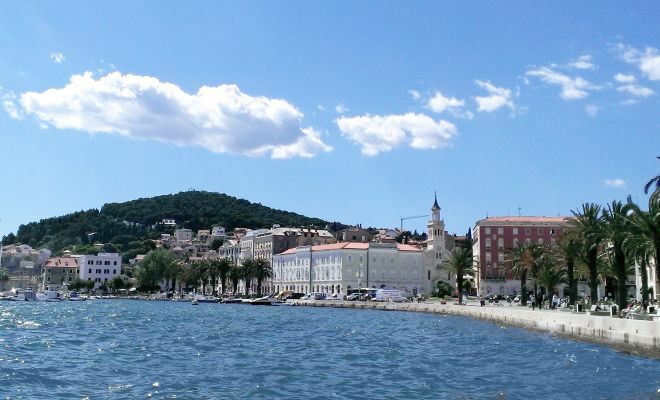 This tour led by an expert guide includes a walk through the historical core of Split and the Diocletian's Palace. The historic core and incredibly well-preserved ruins of the Roman palace were among the first to be inscribed onto UNESCO World Heritage List in 1979. 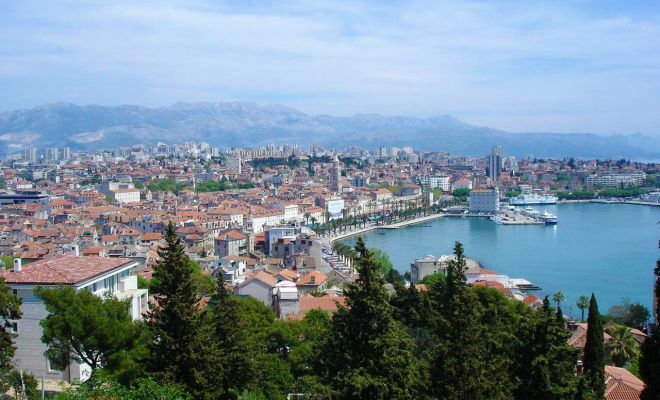 This tour will take you through the oldest part of Split, a Mediterranean city, a crossroad of maritime routes and rich cultural and monumental history. Your guide will introduce you to a traditional way of life in Diocletian's Palace and the life in the city itself including its well preserved ruins that today form the city’s core, the centre of all major events and everyday life of its inhabitants. It is estimated that this Roman palace was built from 298 until 305 A.D. and is one of the most significant original structures of the late ancient architecture mostly due to its preservation. Later on, this Palace contributed to the broadening of the city itself because it served as the starting point for the expansion of the settlement. Split is a true Mediterranean city, with a significant portion of everyday life happening on the streets, especially in the summer. Zlokic olive oil factory, Barilo ethno museum, Toreta vinery Olive oil tasting and snack in Zlokic olive oil factory. Vela Luka, Korcula island. This tour includes a visit to a small olive oil factory, a tour of the museum and tasting of the homemade products. Olive oil production today represents the basis of agriculture on the island. Its quality and quantity comprise a significant share of oil production in Croatia. On this trip you will have a unique opportunity to visit a small private olive oil factory and learn first-hand about the processing and production of one of the best olive oils in Croatia. Moreover, you will learn how to pick olives, which presses to use in the processing, and you will learn about the difference between virgin and extra virgin olive oil. Furthermore, you will visit the ethnographic collection of tools used for olive growing and oil production and you will learn how the oil was used, and which techniques and equipment are used today. To make this experience complete, all you have left to do is to taste the delicious local products: olive oil, olives, homemade cheese and anchovies.  Barilo ethno museum, tasting of local liqueurs and sweets. Blato, Korcula island In Blato, one of the oldest settlements on the island, you will visit a family-run ethno museum. The museum is based on the private collection of the local family Marinovic - Barilo and is run by family members and curators Dita and Velimir. They treasure the collection of various artifacts and objects from the peasant’s life of Blato village and the surrounding areas. Barilo ethno museum covers around 250 m2 and has about 3000 artifacts and objects to display. The tour will last around an hour and it will include a visit to an outdoor and indoor display of the tools and items typical for the life on the island. Your host will introduce you to the life and customs of their ancestors. Inside Barilo ethno house you will be able to taste of the local products made by your friendly host who treasures the old recipes. You will be offered various homemade liqueurs, figs, sugar coated almonds and homemade arancini –candied orange peel.  Toreta winery and museum, wine tasting. Smokvica, Korcula island Our next stop will be in Smokvica, a small village in the middle of the island of Korcula where the Croatian white wine Posip originates from. Toreta winery and museum are run by a local family Banicevic that have produced excellent wines with the young Frano Banicevic now running the family business. His knowledge and passion for high quality wines and promoting the Toreta winery was recognized in 2010 when he was awarded The Best Young Winemaker award. Frano will be happy to introduce you to the traditional and modern methods of wine making after which you will taste the wines, homemade cheese and enjoy the beautiful view of the fields of Smokvica village. The mouth of river Cetina opens into the sea at Omis, with monumental cliffs rising on both sides of the river bank. With its 100 km Cetina is the longest river in Dalmatia that springs at 5 pints on an altitude of 380 m above the sea level, under the two mountains Dinara and Gnjat. Cetina river boat excursion will take place in Omis 6 km up the river to the picnic and restaurant area of Radman mills. During the centuries Cetina Canyon was used as a perfect hiding spot for Omis pirates. Being one of the biggest Dalmatian rivers, in 1848 flour mills were opened to the public. Nowadays, Radman mills house a restaurant and a picnic place where in the shadow of tall trees one can get familiar with the rustic spirit of the past times. After 45 minutes long river ride, your host will welcome you with a glass of excellent local wine accompanied by tasteful bites of Dalmatian smoked ham, local cheese and homemade bread. Enjoy the light lunch, untouched nature and a boat ride up the impressive Cetina Canyon surrounded by mountains. monastery from the 12th century or simply take a swim in shallow, warm salty lakes. You can rent a bike, a kayak or a canoe and explore the island more actively.